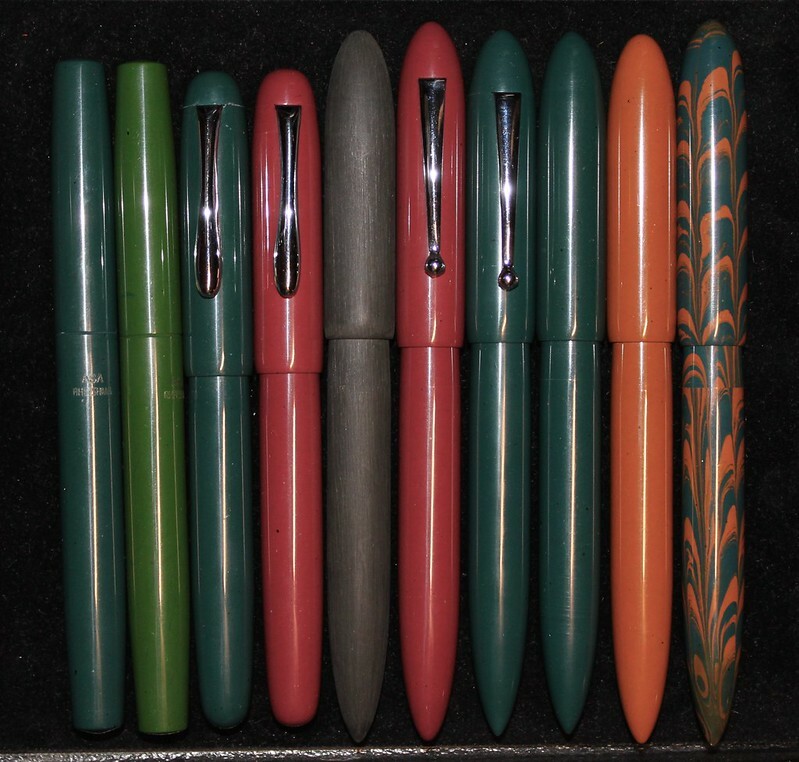 All ASA Pens are $65 plus shipping by USPS. I have a couple of Naukas that are seconds, if interested, please inquire. I also have two Constellations88 Elements Sulfur, acrylic, M or F Bock nib (please inquire about other nib sizes) $125. 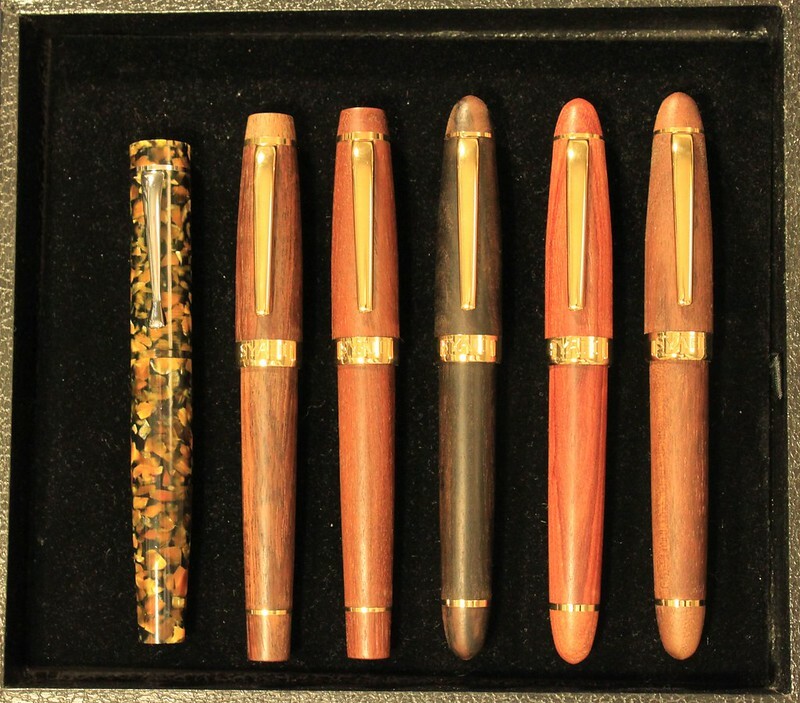 The wooden pens are not currently available. 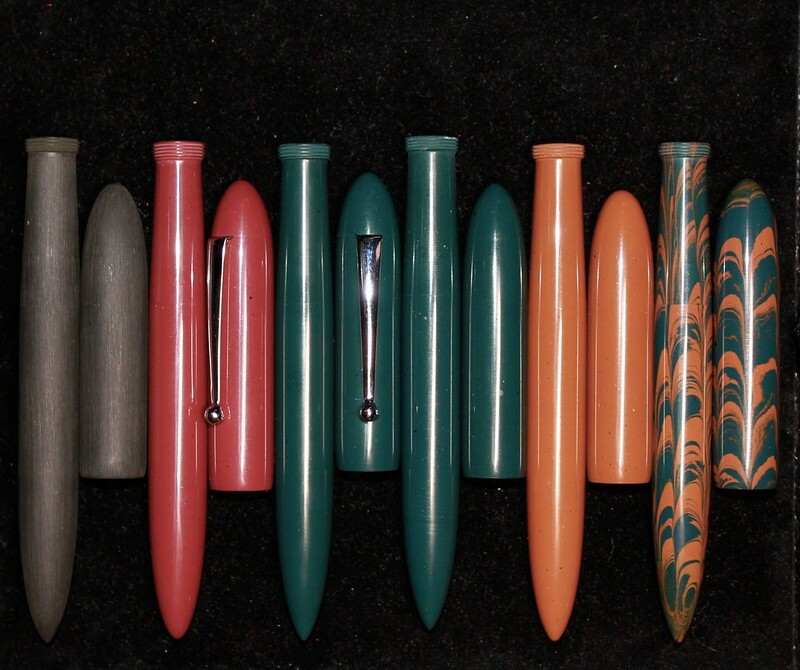 A Note on Indian Ebonite: The ASA pens are manufactured from Indian ebonite, which tends to have imperfections. 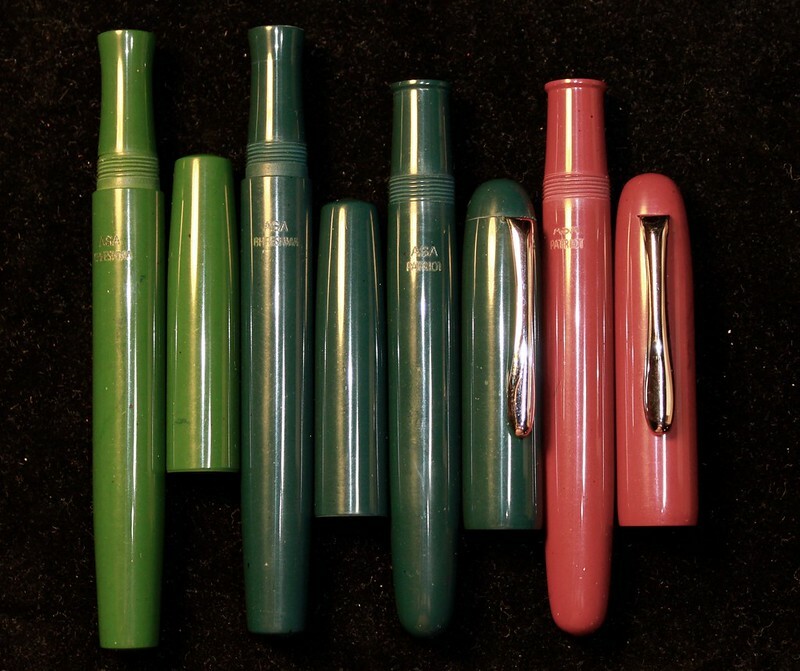 Although many of these pens are made to be a solid color, they often have flecks or streaks of other colors in them. I got one of these Nakuas from JJ in Baltimore.